Stretching for approximately 350 miles between Los Angeles and San Francisco, California's Central Coast is paradise for active adult retirees. Exciting recreational attractions offer a wide range of activities, while ocean views and blue skies provide plenty of scenic beauty. There are even several active adult communities for those who can afford to live in this somewhat pricey destination. Retirees who choose to relocate along California's Central Coast will find a variety of luxurious active adult communities. Many developments in the area are open to all ages, yet they offer the amenities and activities, that support a healthy, active lifestyle. California's Central Coast is often described as containing four distinct regions: The Channel Islands, Santa Barbara, San Luis Obispo and Monterey Bay. Each area has its own attractions, which include beautiful beaches as well as rolling hills and majestic mountain views. The Central Coast also has a growing reputation for its thriving vineyards, making it a dream location for oenophiles. Central California has a warmer climate with dry summers and rainy winters. In the southernmost portion of California's Central Coast, the Channel Islands Region includes the coastal cities of Oxnard and Ventura. 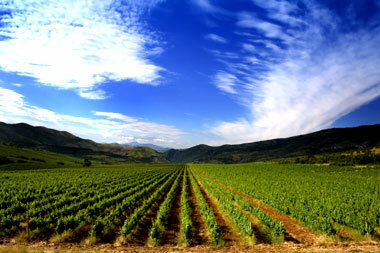 The area is also a rich agricultural region which features small farms and vineyards. Historic districts promote the local arts scene and outdoor enthusiasts will love exploring Los Padres National Forest. A bit further up the coast, the Santa Barbara Region boasts a Mediterranean climate which appeals to both visitors and relocating active adult retirees. This luxurious area is known for its extravagant homes and exciting Spanish influence. Art lovers will not want to miss a visit to the Santa Barbara Museum of Art, and everyone can appreciate the beauty of the Santa Maria Wine Country. About halfway between Los Angeles and San Francisco, the San Luis Obispo Region offers everything from outdoor recreations to historic sites and tours. The San Luis Obispo area is home to the famous Hearst Castle, the classic Pismo Beach surf town and breathtaking coastal bluffs. At the most northern end of California's Central Coast, the Monterey Bay Region lies just south of San Francisco. This well-known area includes some of California's most popular attractions including impressive redwood forests, the cliffs of Big Sur and the artistic atmosphere of Carmel. Monterey Bay also includes Cannery Row and the world-class Monterey Bay Aquarium. No matter what your interests or hobbies are there is sure to be something for nearly any active adult or retiree resident. The cost of living in Central California is higher than the national average, but some cities in this area have the lowest cost of living in the state. Active adult residents love that Central California also has more affordable housing options than the rest of the state. Taxes in Central California vary considerably based on income level and property location, as well as by city and county. There are 6 state tax brackets, with the lowest being 1 percent and the highest 9.3 percent. Social security benefits are exempt but pensions are not. Combined state, county, and local tax rates vary from 7.25 percent to 8.75 percent. Property taxes typically range from 1 to 1.3 percent of the home's value. Because property taxes are calculated based on the home's fair market value at the time of purchase and is not affected by any rise in real property values, now is an excellent time to consider a move to one of Central California s active retirement communities. Active adults and retirees love that California has no estate, inheritance, or gift tax. The quality of life Central California residents enjoy is among the best in the United States, perfect for seniors and retirees. The geography and climate of Central California promote a healthy and active lifestyle which can be as slow or fast-paced as you prefer. Many Central California retirement communities are situated so as to be close to spectacular natural scenery and retreats without compromising proximity to urban amenities. The high level of urbanization and sophisticated traffic network mean that high quality healthcare is never far away.